All prices include PayPal fees and shipping in the continental US. I will entertain offers, but lowballers will be ignored. Direct bolt on for an ej22t with an intercooler. Was said to be of about 50k miles when I bought it over 2 years ago. After my build path changed multiple times this has just sat on a shelf in my garage. Shaft feels perfectly normal for a journal bearing turbo, about the same as the new chra in my vf40 in all honesty. No pictures as of right now, will work on that soon. This is the biggest ihi turbo made, specs can be found various places online. One of the old school roller bearing turbos though most people refer to them as ball bearing. Shaft play seems to be in line with the vf28 roller bearing in my swapped 97, which is very good. 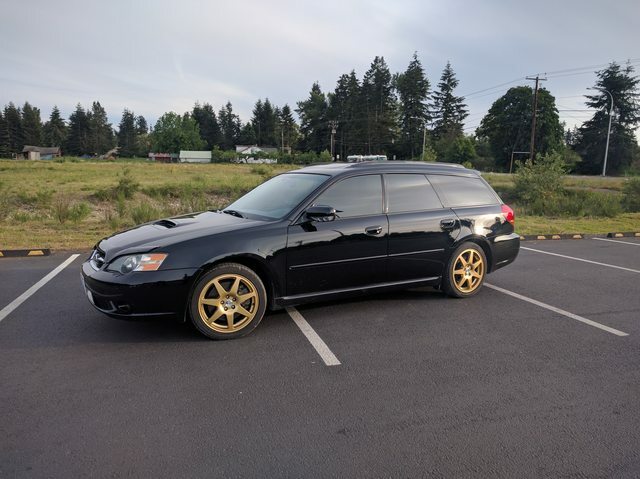 Impulse buy that was planned for use in my 05, realized I'd need bigger to reach my goals so here it is. Well not literally, I don't have pictures of this either at the moment. Will be adding more stuff soon. Stay tuned. Last edited by 86BRATMAN on Tue Oct 20, 2015 10:39 pm, edited 6 times in total. New stuff bump, don't be afraid to make offers. Oh man, every time I see a good deal on a turbo upgrade I get mighty excited and then realize my TD04 is plenty good enough and I love the low-end torque... Haha. Good deal on the VF22. I'm actually thinking about stepping down to a td04 on my 97 to bring the powerband back down to where I actually use the car, if I do that I'll have a vf28 for sale too lol. Ooh, if you do that let me know. I remote tuned a guy's WRX with a VF28 and I think I could live with that powerband. VF22 is probably a little bigger and slower spooling than I want, but a VF28 might be perfect. I'm kind of tired of tapering down to 12psi by redline but I don't want to lose too much of my torque between 2-3k. The vf28 is making full boost (15ish) somewhere around 3300 rpm, it's hard to watch both gauges and drive lol. Where I'm on a stock 20k ecu it still tapers off some up top but that's the way they're tuned. This is also on an ej20 so it'd come on a little quicker with your ej22 shortblock. If you want to think it over and pm me an offer, it's not like I'm turbo poor at the moment lol. To the top, I'd like to clear out some storage space so make offers people. vf8 sold and shipped, vf22 sold locally. 22T ECU shipped to 76311? how many moneys? Any plans on selling that VF28?